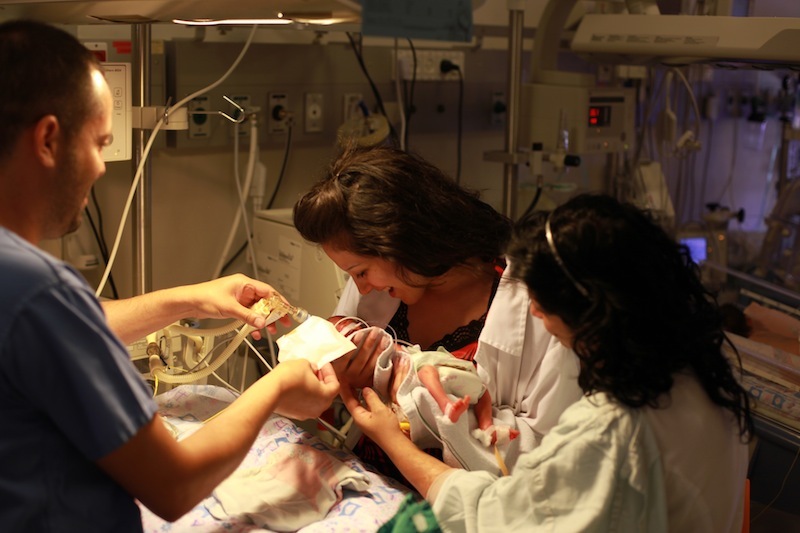 The Holy Family Hospital Bethlehem has enabled 53,000 successful births since 1990. The hospital provides the population of Bethlehem with an indispensable service, offering the only possible place for women of the region to give birth under good medical conditions. The Holy Family Hospital in Bethlehem, Palestine, is a joint project across the Order of Malta, under the operational responsibilities of the French Association of the Order. The hospital’s primary objective is to offer high-quality maternity care to all women, regardless of race, religion, culture or social condition. American and European specialists have confirmed that the hospital operates according to an excellent western European standard. Because of the continuing unstable political and the very tight economic situation, the need for the hospital services has increased. Palestine has no national health care system and therefore the hospital’s operating costs are sustained by the Order of Malta. Patients are asked to pay what they can afford. The charge for total antenatal care, accommodation, delivery including all medications is $60. For those unable to pay, charges are reduced or waived. The hospital is financed by the French Association, with help from the National Associations of Germany, USA, Ireland and Switzerland and by the European Union. Recently the “Holy Family Hospital Foundation” – an organisation created by American members of the Order – has raised funds that have provided an important contribution to ensure the hospital’s continuing operation.